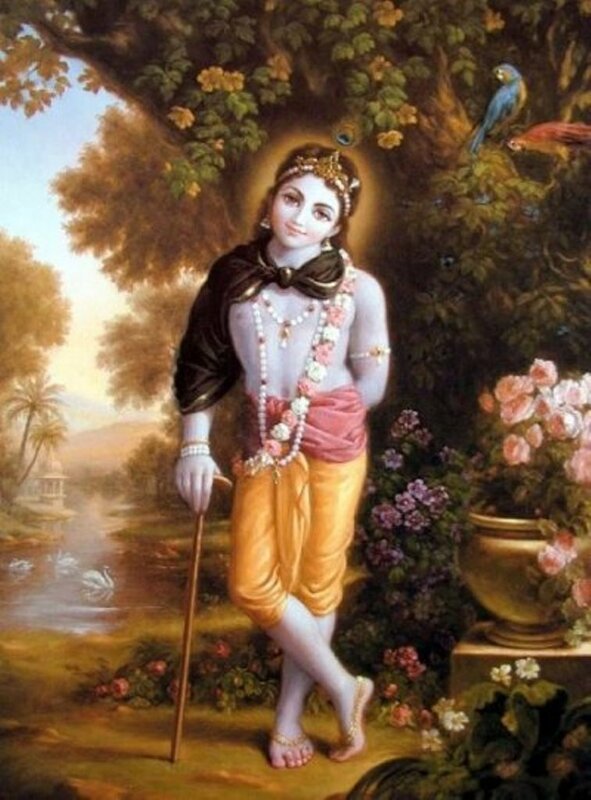 One devotee said that even when he was not very attentive he would sometimes, seemingly out of madness, remember the lotus feet of Kṛṣṇa within his heart. This is an instance of remembrance resulting from constant practice. In other words, devotees who are constantly thinking of the lotus feet of Kṛṣṇa, even if they are momentarily inattentive, will see the figure of Lord Kṛṣṇa appearing within their hearts. When they saw Vidura return to the palace, all the inhabitants—Mahārāja Yudhiṣṭhira, his younger brothers, Dhṛtarāṣṭra, Sātyaki, Sañjaya, Kṛpācārya, Kuntī, Gāndhārī, Draupadī, Subhadrā, Uttarā, Kṛpī, many other wives of the Kauravas, and other ladies with children—all hurried to him in great delight. It so appeared that they had regained their consciousness after a long period. With great delight they all approached him, as if life had returned to their bodies. They exchanged obeisances and welcomed each other with embraces. Due to anxieties and long separation, they all cried out of affection. 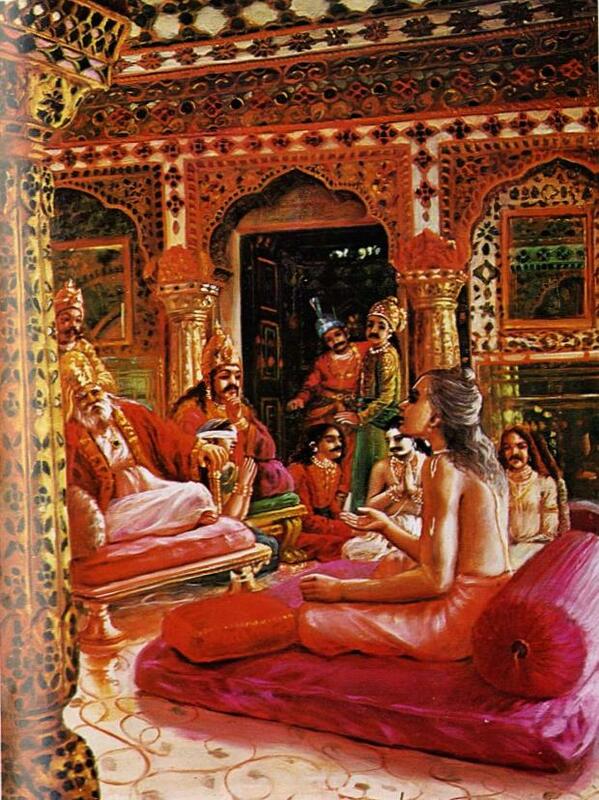 King Yudhiṣṭhira then arranged to offer sitting accommodations and a reception. King Yudhiṣṭhira was expert in reception also, even in the case of his family members. Vidura was well received by all the family members by exchange of embraces and obeisances. After that, bathing and arrangements for a sumptuous dinner were made, and then he was given sufficient rest. After finishing his rest, he was offered a comfortable place to sit, and then the King began to talk about all happenings, both family and otherwise. That is the proper way to receive a beloved friend, or even an enemy. According to Indian moral codes, even an enemy received at home should be so well received that he will not feel any fearful situation. An enemy is always afraid of his enemy, but this should not be so when he is received at home by his enemy. This means that a person, when received at home, should be treated as a relative, so what to speak of a family member like Vidura, who was a well-wisher for all the members of the family. 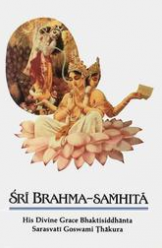 Thus Yudhiṣṭhira Mahārāja began to speak in the presence of all the other members.